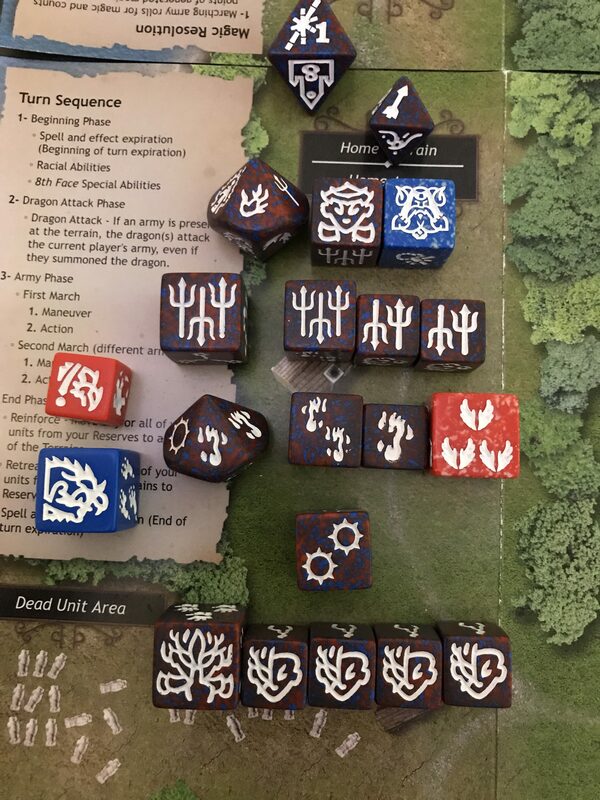 This is part 5 of an advanced level Dragon Dice battle and it is recommended that, if you have not done so already, you read the first four rounds before reading this. 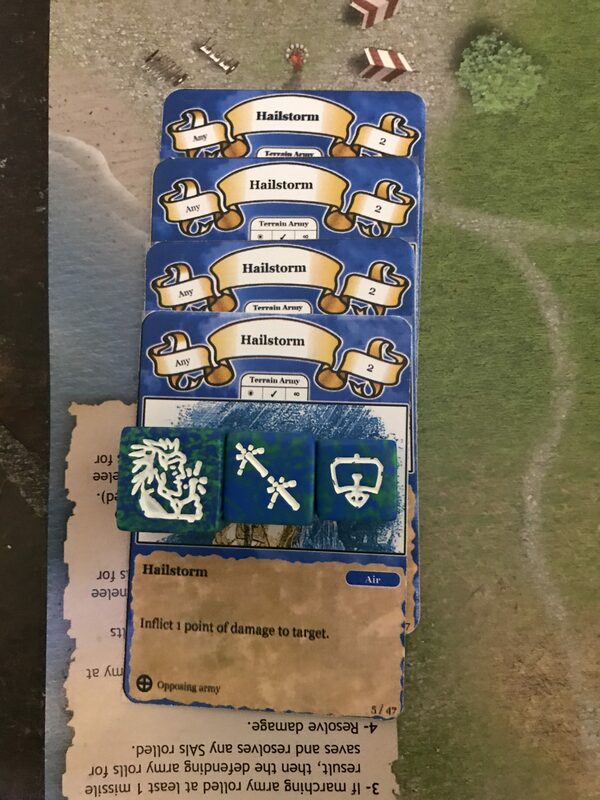 At the start of the 5th round there are still only a handful of battle casualties and these are one health units from the Selumari army. 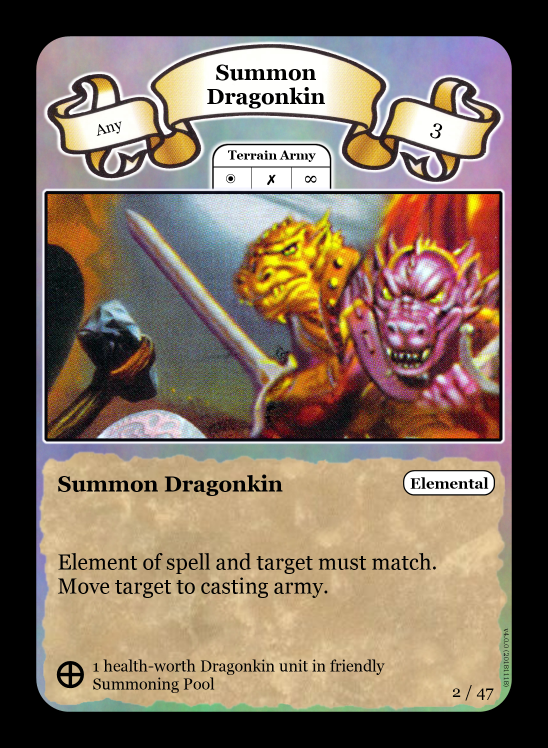 The Empyrea have two large armies geared towards magic use and a bit of saving with the help of Eldarim and Dragonkin units. The problem facing them is the huge missile army congregating at the Selumari home terrain which is on its 5th face. 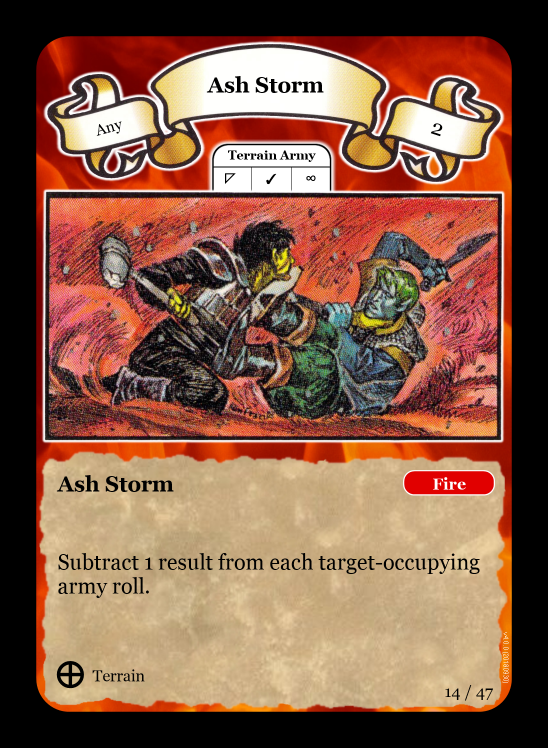 Once it reaches the 8th face, the real problems will begin for the Empyrean forces, as they will have nowhere to hide from the barrage of missile fire that will be coming their way. The best and top priority course of action for these forces must include stopping the Selumari march towards the tower. 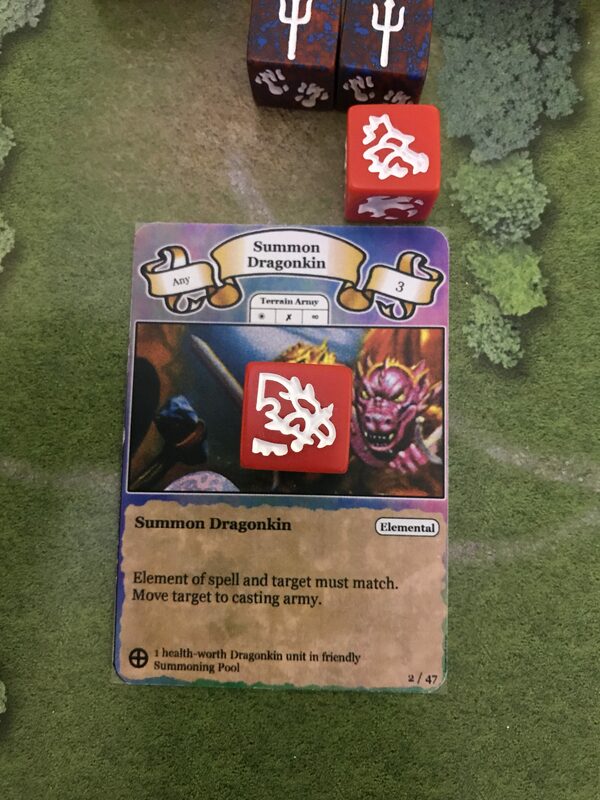 At the start of the round, the Ash Storm expires and the Eldarim ability of Dragonkin Handling allows for the promotion of the Fire Dragonmount to an Air Dragonsteed. This will speed up the home army as well as giving more protection. The Empyrea decide not to manoeuvre and attempt to generate magic. They produce 8 air magic and 6 fire magic results. 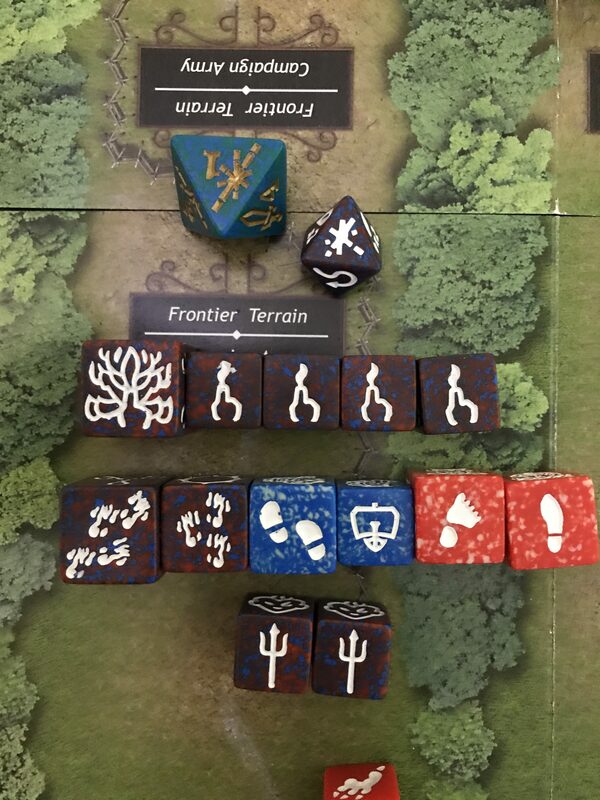 This is nowhere near enough to cause problems for the enemy at their home terrain, so they have a change of plan and attack the magic units in the reserves, who do not enjoy the benefit of Coastal Dodge. 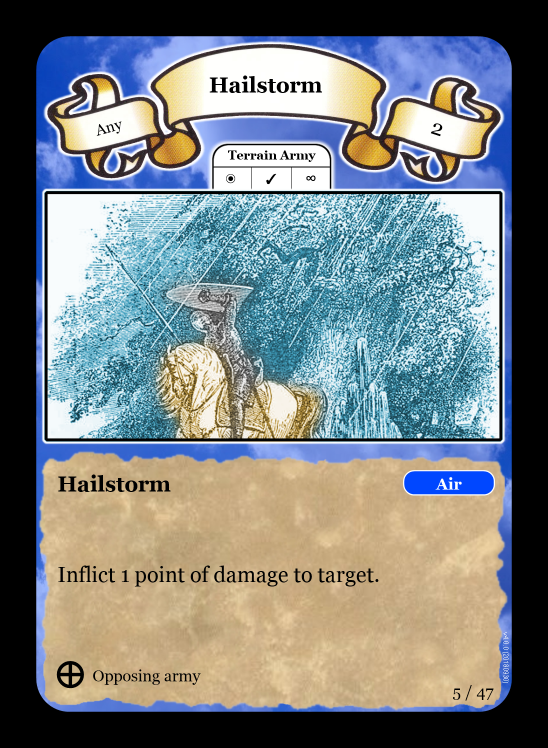 The 4 Damage results from the Hailstorms are met by 3 saves from the Enchanter, leaving only 1 damage to be taken. The Evoker goes to the DUA. 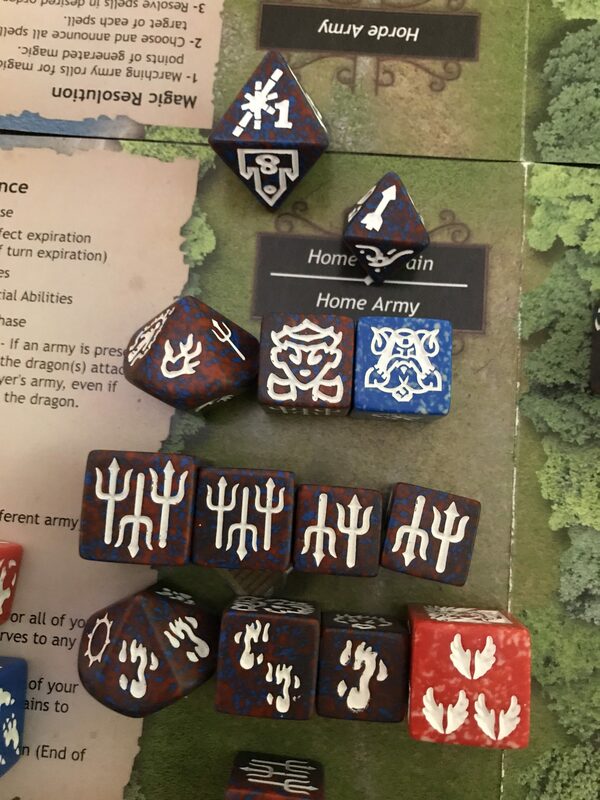 The campaign army try to improve on the level of magic. They have an untimely fail, and produce only 7 results. They reinforce the army. 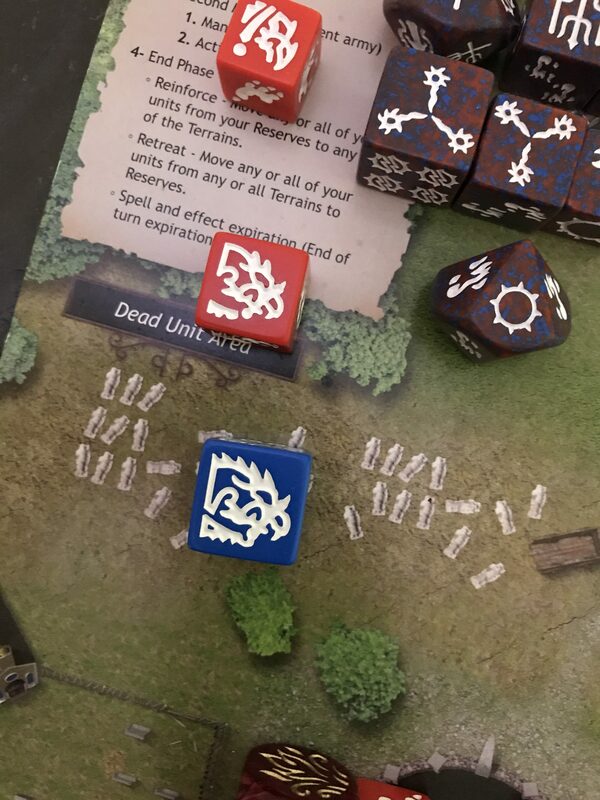 A fire Dragonmount is summoned. The entire magic contingent use Air Flight to go back to the home terrain.